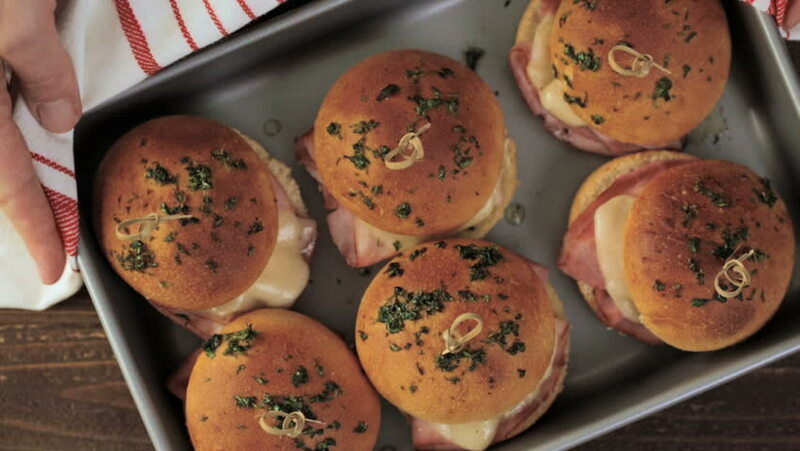 hd00:09Ham and cheese sliders on homemade dinner rolls. hd00:16Organic grilled peaches with scoop of vanilla ice cream. hd00:08Deviled eggs garnished with fresh dill.